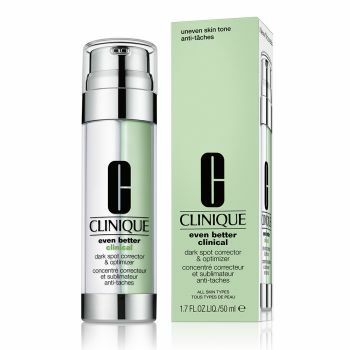 Clinique's two-pronged approach to lasting brightness and to help even tone. Our gold standard reduction of dark spots improves hyperpigmentation, while the soothing serum keeps skin calm to help prevent future darkening. Allergy Tested. 100% Fragrance Free.